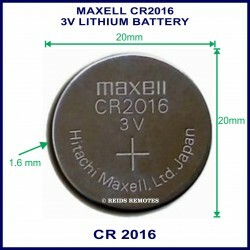 This Centurion Garage Doors branded euro slim 4 blue button garage remote can be used with a number of different motors but is most commonly used with Avanti or Centurion. You may see this style remote branded as Avanti and they are compatible. Feel free to email us with a photo of your remote if you are unsure if it is compatible. 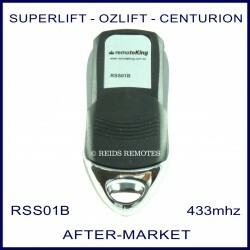 This Centurion Garage Doors branded remote is the latest release and comes with different colour buttons in RED or BLUE. 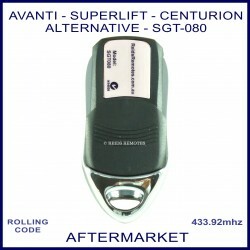 The remotes are made by Avanti for Centurion Garage Doors and use similar coding to the older Avanti Euro TX and Superlift Euro TX. We also sell a selection of other compatible genuine or aftermarket remotes which are shown below. Take a look at the photos for full compatibility.